I just wanted to drop a quick update on my experiences with the Microsoft Zune 120. Four months later, the amount of dust that has accumulated under the device’s screen has become intolerable, and I have decided to send it in. Fortunately, Microsoft is willing to replace the unit free of charge because of this dust, and they sent me a packing label so that I could drop it off at the local UPS store, which I did on Monday. It’s also possible to print the label out online. It took approximately 10 days for the label to arrive from the date that I made the phone call, so I am wary of the amount of time the actual replacement process is going to take. I will keep updating as to the speediness and quality of Microsoft’s customer service regarding this issue. I will also take steps to protect my new Zune from suffering the same dusty fate. Thanks for calling me out on that – since this post my Zune has actually been back to Microsoft once again – this time for a technical problem – and I am not as happy a camper as I once was. 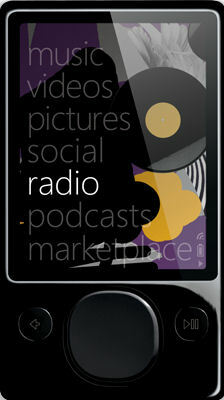 It is indeed time for a Zune-related update.